Know your tool, basic tool. Essential tool. That's is your PC/Laptop (In this case) we are in electronic music with laptop era. So, if you know what is feature on your pc such processor, RAM, and compatibility to produce sounds through soundcard and it can also handle audio editing. This is so essential, and moreover. You need to know what are digital audio softwares you will use. I am using cracked software currently, if its possible. I am going to buy licence for software. Additional tool is necessary such midicontrollers (get this first) and if you know the idea how to compose basic music and willing to record your voice, then you need external recording tools. Understanding the workflow of your software, there are many kind of DAW softwares, whether they are shareware and also paid license. Choose what you think it's easy to understand, remember. Every softwares have their own FAQ (So you can read how to use it) If you're kind of person who is lazy to read, use Youtube to get tutorials. Its super efficient. Have a lot of references in music producing itself, the easy way to understand this. Listen some musician you like, get influenced. And then you can look for how sounds its made (just look for basic ADSR theory). 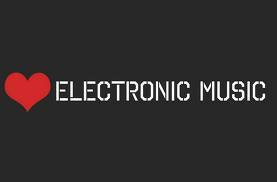 You have great interest to explore many kind of Electronic music genre, so atleast dont be stuck in one genre of music. Try to use Wikipedia and Last.fm to find suggestion and explanation of music genre. You must have build an interest-place that you may find friends who is interested to do same. Its very important, if you can get feedback from communities (in this case music producing community), you will keep your spirit.Otherwise, by getting external feedback, we will know how to move. Note: So those are my steps in learning Electronic music, I am personally love electronic music because we need to listen more kind of sounds and voices that I never heard it before.